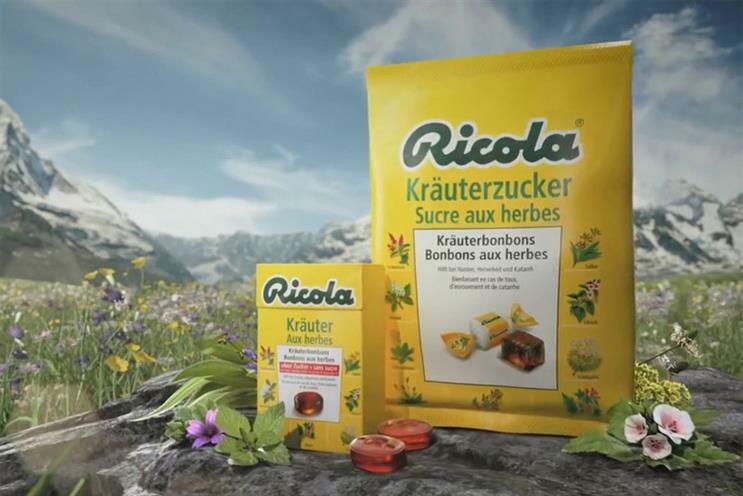 Swiss herbal cough sweet manufacturer Ricola has appointed Publicis Worldwide to handle its global creative and digital accounts, following a pitch. The account will be led by Publicis Zürich, with Publicis London as the global lead agency for strategy, and Poke London as the global agency for all digital communications. Publicis Singapore, meanwhile, will operate as regional hub for Asia. Publicis agencies will be tasked with creating broadcast ads, digital activations and "integrated" content, with the first work set to launch later this year. Lukas Eiselin, head of brand and communications at Ricola, said: "One of the decisive factors in awarding Publicis the account was that the agencies were able to prove during the entire pitch phase that the cooperation within the network works seamlessly. "This offers real added value for us as a global brand, particularly in terms of the need to enable stringent, global brand management with local relevance." Ricola’s last launched a global campaign in 2013. The "Chrüterchraft" ads, by German agency Jung von Matt/Alster, attempted to explain the meaning behind the strange-sounding Swiss word. Publicis London and Poke chief executive Nick Farnhill added: "It’s a great opportunity to collaborate with our wider Publicis family in bringing this iconic Swiss brand to life in new and innovative ways. The Ricola team’s commitment to long term design solutions and sustainability is inspiring and we can’t wait to get started."